With Kanga® KeepU-Dri® waterproof cast protectors you can swim, shower and bath as normal. It’s easy to pull on over your cast or bandage and makes a waterproof seal with your skin, so you can dive into your normal life! 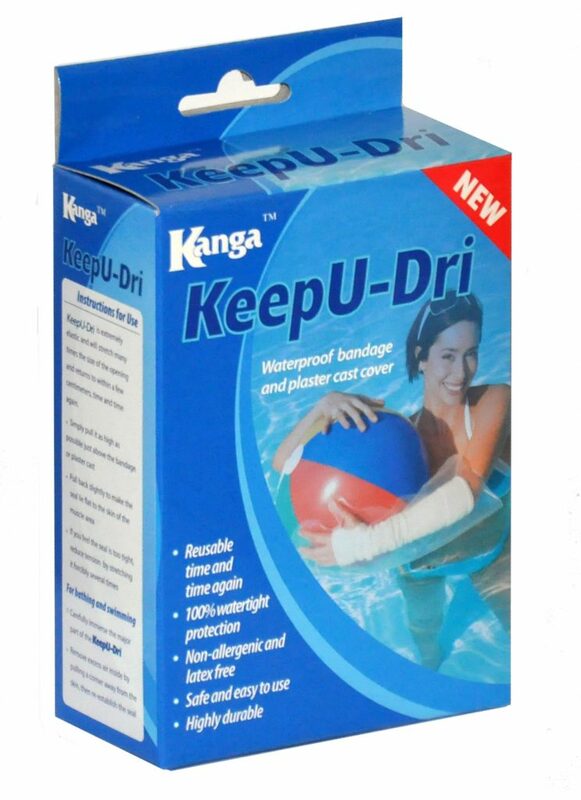 If you have an injury you need to keep protected, Kanga® KeepU-Dri® can make sure that you don’t have to stop swimming, showering or bathing while you recover. Kanga® KeepU-Dri® is a fully sealed polyurethane cover that makes a watertight seal over legs and arms. You can use KeepU-Dri® to keep your patient’s cast or bandages dry, which will improve outcomes, and potentially save your practise money and time by avoiding unnecessary re-dressings.